The 2015 Motorcircus/ExpoRally edition takes place at the Verona's fair in conjunction with the famous Bike Expo. In the large outside area the organizers have prepared a nice track for the 3rd Memorial Angelo Caffi played by historical and modern rally cars. 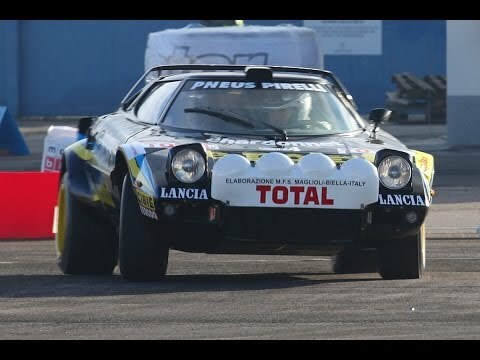 This video shows some laps made by Febis (Lancia Stratos Gr.4), "Lucky" Battistolli (Ferrari 308 GTB Gr.4) and Giacomo Costenaro (Lancia Rally 037 Gr.B). Enjoy the Stratos epic V6 sound!